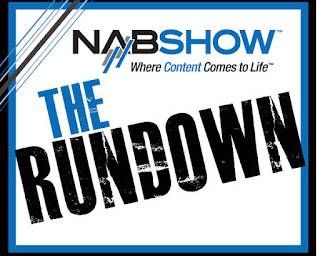 Last month TeraMotions attended the NAB Trade Show in Las Vegas, NV April 14th -19th. We enjoyed meeting everyone who stopped by our booth. Reporter James E. O'Neal stopped by our booth to speak with TeraMotions and to snap a few pictures. O'Neal even featured U-Reach, along with a picture of the U-Reach booth and U-Reach's representative, Faith Her, in his news article for the NAB Show Daily News. 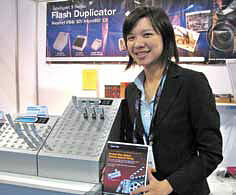 Her is seen here holding U-Reach's copy-protected USBs and behind her are the Intelligent 9 Flash Duplicators that debuted in January of this year. You can read O'Neal's full article here.